Interested in getting in on one of the hottest growing sports across the globe? Stand up paddleboarding (SUP for short) has exploded in popularity over the past decade, becoming one of the most popular water sports around. Inflatable SUP boards are an even newer development, allowing you the convenience of owning a full sized paddleboard that folds up into the size of a small duffel bag! No longer must you sacrifice valuable space to enjoy the sport. There are a large variety of inflatable paddleboards to choose from, from beginner boards to expert boards and everything in between. 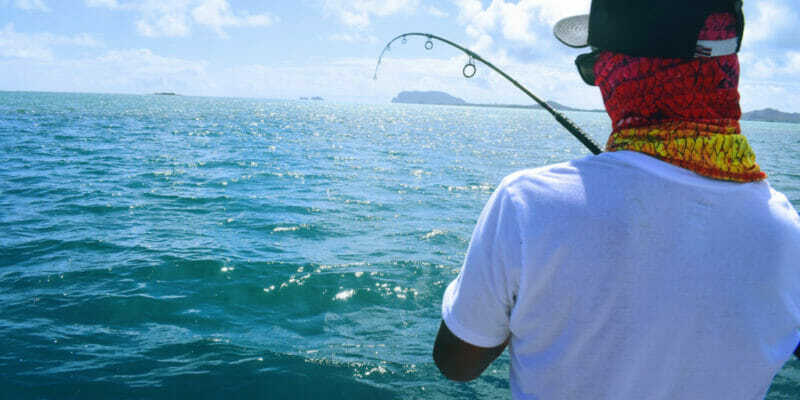 This article will help you choose from the abundance of different models out there, and pick a board that is just right for your skill level, needs and preferences. What to consider when choosing an inflatable SUP? 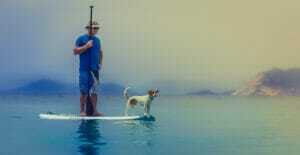 One of the key advantages an inflatable SUP has over its fiberglass and plastic cousins is great portability. An inflatable SUP should easily fit into a small suitcase and be light enough to travel with. The lighter and smaller the board is when it’s fully packed away the better in this category. A key consideration when selecting the right board is how stable it is on the water. Board stability is largely determined by board thickness. The thicker the board, the more stable it will be on the water. Most boards fall into the 4” to 6” range for thickness. 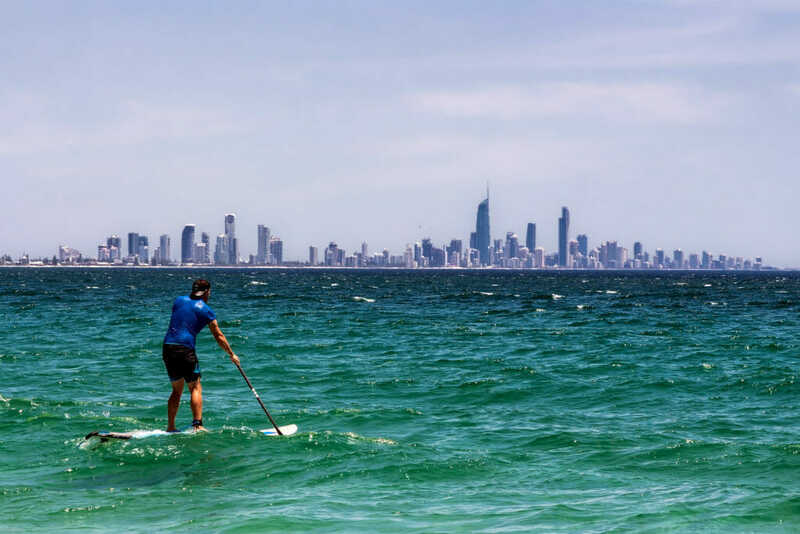 Keep in mind that thin boards can also be stable and are especially useful for choppy water paddleboarding. These boards allow the rider to dig in and “ride” the wave rather than be tossed around like a heavy board would. These types of boards are typically for more advanced riders. Board durability is mostly affected by its material and manufacturing quality. The newer generations of inflatable SUPs are extremely rugged and can take quite a beating without suffering any nicks or cracks that you would expect to find on a traditional fiberglass paddle board. 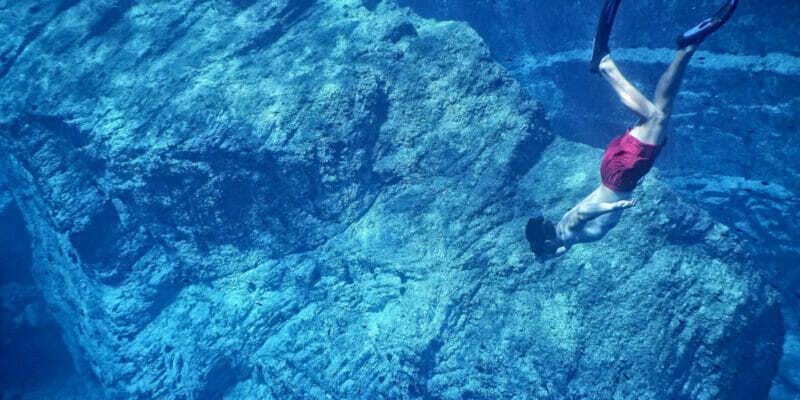 Rocks are not really an issue for most inflatable boards as they will “give” rather than sustain any damage. Construction varies from simple one layer PVC boards, which are lighter and less expensive, to two and three layer PVC boards, which are more rugged, heavier and more expensive. There are also boards with a fusion construction, which have a layer of additional reinforcement while still remaining light. User Friendliness includes the pump quality, how long it takes to pump up the board, storage space, and the quality of the included accessories. Inflatable SUP boards vary widely in price, and overall value is an important point to consider when shelling out your hard earned money. Most boards fall in the $300 – $1500 price range. However more expensive doesn’t always mean better value. Highly capable and versatile boards that fulfill a multitude of roles can be purchased in the lower end of the price range. This really is the ideal inflatable SUP for someone getting into the sport. It’s highly durable, and when fully inflated to 15 PSI is as rigid and hard as a fiberglass board. 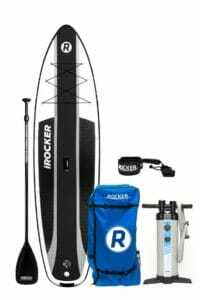 The iROCKER Cruiser is wide at 33”, which increases stability in the water, especially in rougher conditions. This is ideal for newer riders or riders who prefer a bit more stability rather than maneuverability. The high weight capacity of 400 pounds means it can handle extra gear, kids or even multiple riders. Constructed of an incredible four layers of military grade PVC, you will never have to worry about durability with this board. Standard inflatable SUP’s are typically made with one or two layers of PVC. This quad layer construction also gives the board its incredible rigidity which results in less flex and more stability in the water. The iRocker cruiser comes bundled with a fiberglass paddle, an excellent dual chamber hand pump, a backpack carry back and a leash. It also comes with a 2-year warranty, while most boards at this price point only have a 1-year warranty. If you’re looking for one board that can do it all, and do it well, then this is the board for you. Truly the jack of all trades! The Atoll 11 foot board is ultra-light, weighing in at just 19 pounds, which puts it at one of the lightest boards for its class. It’s constructed of durable dual-layer military grade PVC, which makes it durable and rigid. 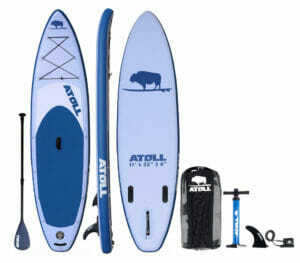 At 32” wide, the Atoll is very stable, while still being maneuverable in the water. It’s suited to riders of all skill levels. The board has a weight limit of 350 pounds, as well as a large bungee storage system with 15 D-rings, so you have plenty of room to stash all the gear you like. A nice feature of this board is its use of a universal fin box. 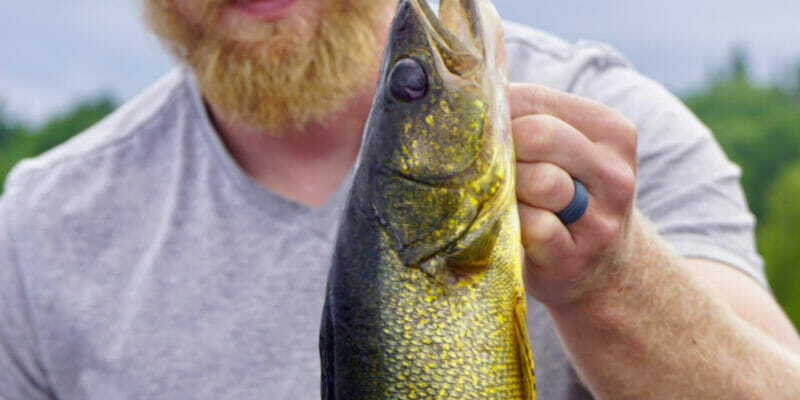 This means you can easily replace the included fins with any standard sized aftermarket fins. You are no longer stuck with using only the stock fins. 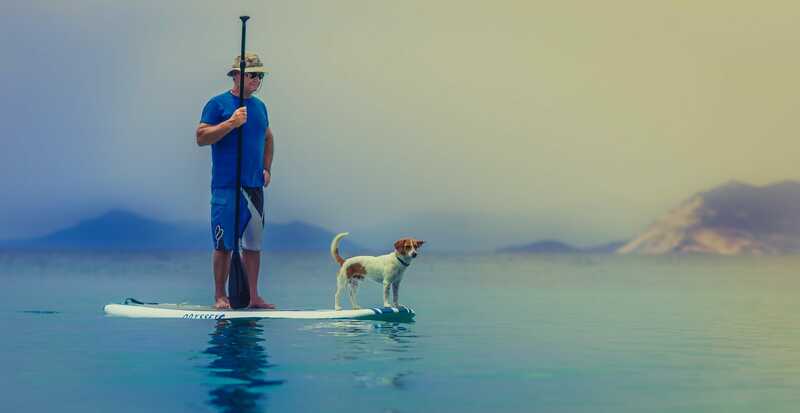 Included with the inflatable SUP are a three-piece aluminum alloy paddle, extra fin, heavy-duty nylon carry bag, dual action hand pump, repair kit, and 10’ leash. It also comes with a 2-Year manufacturer warranty. If you’re looking to get out on the water for some fun, and aren’t too concerned with having the best of the best in inflatable SUP technology, then this is the board for you! You’d be hard pressed to find a more capable board for such a great price. At 10’2” long and 4” thick, the Bestway Inflatable Hydro-Force Wave Edge is on the smaller side, so it will not be quite as stable as larger and thicker models. However, it’s also very lightweight and easy to carry with a carry handle built into the middle of the board. Included with the board are a three-piece inflation pump with gauge, an aluminum paddle, a repair kit, and a travel bag. The pump and paddle are OK quality, but you may wish to replace them if you intent to use the board a lot. No leash is included with the board, so you’ll want to get one separately. This is an outstanding, high performance board that can do pretty much anything you can think of doing on an inflatable SUP. Perfect for beginners as well as intermediate and advanced riders, the Hala Carbon Straight Up can handle white water, surfing, cruising, yoga and anything else you can throw at it! At 36” wide and 6” thick the board is plenty stable, and a unique carbon stringer which runs around the middle of the board adds incredible rigidity. 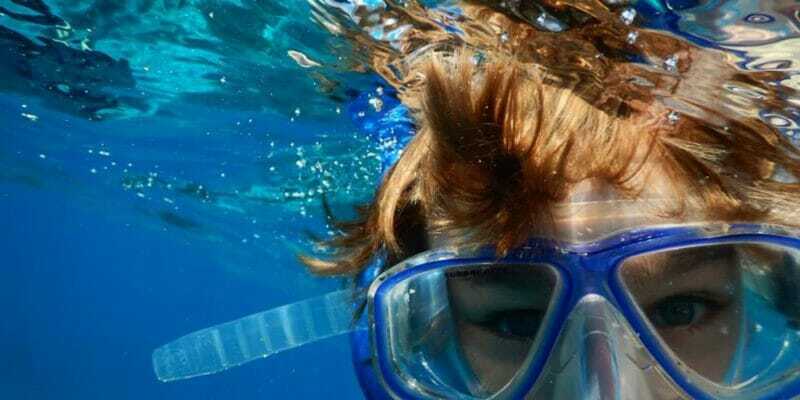 The board is also highly maneuverable and quick in the water due to its nose and tail rocker design. 8 D-rings provide rigging points on the front of the board for plenty of gear storage. The board can hold up to 350 lbs, so the extra weight is not an issue. Included with the board is a super tough backpack with wheels, a dual action hand pump, a 12V car pump, and a repair kit. No paddle or leash is included, so you will need to get those separately. The board is backed by a 3-Year manufacturer warranty, which is one of the best in the industry. If long-range excursions are your thing, then this is the right paddleboard for you. Built with the advanced user in mind, the Red Paddle Co VOYAGER 12’6 has a long slim profile that glides across the water effortlessly. Measuring 12’6” in length, this board is great for larger people and can handle plenty of gear or even kids! Constructed of a Monocoque Structural Laminate (MSL) fusion, which fuses the second layer of polymer to the core, this board is durable and rigid yet surprisingly lightweight. The board is 32” wide and 6” thick, which provides a nice balance between stability and speed. The weight capacity is a hefty 330 lbs. Multiple carrying handles makes carrying the board around the beach easy. As for storage capacity, the Voyager has two places to lash your gear, with 6 D-rings on the front section and 4 on the rear of the board. 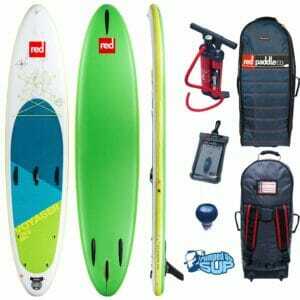 It comes with a wheeled backpack carry case, hand pump, repair kit, waterproof cellphone case and Red Paddle’s patented RSS battens (two stiffening slats that can be attached to the board for increased stiffness). The board doesn’t come with a paddle, so you’ll need to pick one up separately. The board’s shape will determine what its best for. Longer boards with narrower noses are faster but less stable. The streamlined profile of these boards mean they will travel through the water with less effort from the paddler. These boards are suitable for touring and more advanced users. All around boards with flatter noses and wider centers increase stability, but will not cut through the water with the same speed. They are suitable for all types of rider and are very versatile. Specialized boards for Yoga are also available; they tend to be long and wide with a rounded nose and tail. Generally, the wider the board the more stable it’s going to be. The length of the board also affects stability, as short boards less than 9 feet will be less stable for adults. Most all-around boards will be over 30” wide and 10 feet long, which provides a good amount of stability. Long and narrow boards like the Red Paddle Co Voyager will increase the speed and maneuverability of the board, but sacrifice stability. Larger boards will also be able to hold more weight than smaller ones. So, if you plan to use the board for longer excursions, look at a larger board. 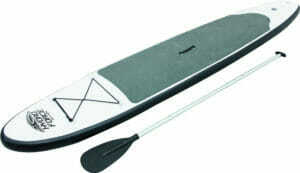 The paddle board’s thickness effects rigidity, stability and weight capacity. The thicker the SUP is when inflated, the more rigid it will tend to be. More rigidity is preferable as it gives better feedback with the water and feels more like a traditional paddle board. The thickness will also impact stability, as thicker boards place the rider farther away from the water which means less stability. Also, the thicker the board is the more weight it will be able to hold. Generally, 4” to 6” is the sweet spot for board thickness. The rocker is the curve in the front of the board. Beginner boards will have very little to no rocker which is better for use in calmer waters. More advanced boards will have a larger rocker that keeps the tip of the board above the water in choppy conditions. On the bottom of the board are the stabilizing fins which help keep the board cruising along smoothly. There are a variety of fin setups, from a long single fin, to three smaller fins, or two small fins on the sides and one medium sized fin in the center. Long single fins are best for flat water cruising and provide more stability, while three fin setups will be better for making turns in choppier water and are more suited to intermediate and advanced users. Many inflatable paddle boards come with a good set of accessories, but sure to have everything you need before you head out on the water. Paddle. Many boards come with a paddle included. Look for a paddle in the 6 to 8 foot range to ensure comfortable paddling. 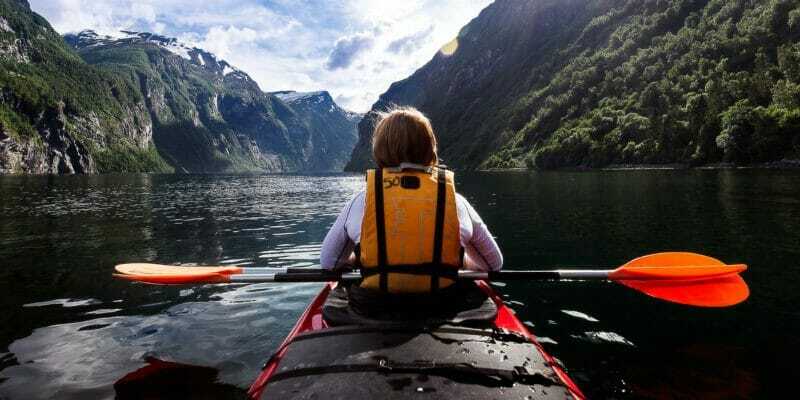 If you plan to paddle board a lot, look into getting a quality fiberglass or carbon fiber paddle. They are super light and are often much better than the stock aluminum paddles. Leash. 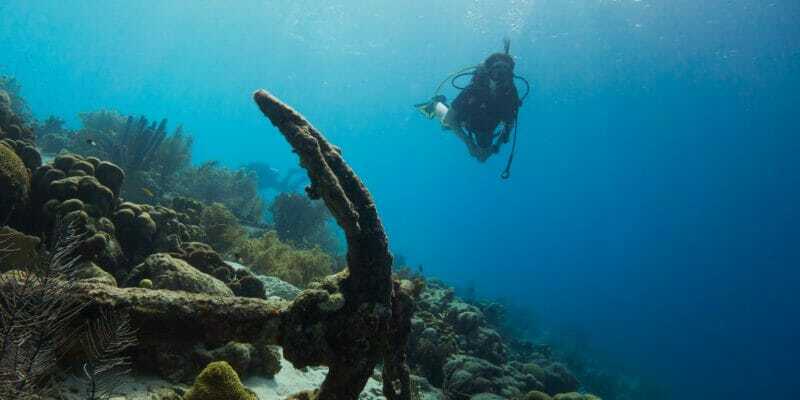 Make sure you have a leash before heading out on the water; you don’t want to lose your board! Some boards come bundled with a leash but many do not. Carry Bag. All the models reviewed here come with a carry bag. Some come with a wheeled carry bag, which is great for long distance travel. Pump. Most models come bundled with a dual action hand pump. These works well and usually will inflate the board to the proper PSI in 5 to 10 minutes. If you are inflating and deflating your board a lot, an electric pump will make the task much easier. Life preserver/PFD. It’s always a good idea to wear a life preserver when paddle boarding and it may be the law in some areas.